Passed away peacefully on March 21, 2019 at 79 years of age. Beloved wife of the late Erhard “Ed” (February 2019) who together would have celebrated their 60th wedding anniversary in August. Loving mother to Ken (Joselle Hebert), Robert (Anna), and Douglas (Lisa). Cherished Oma to Joel, Ryan, Steven, Cameron, Sophie, Isabella, Benjamin, Tobias and Lucas. Dearest daughter of the late Philipp and Katharina Nitz. Dear sister to Fred (Katie) Nitz, Georg Nitz, and late Katharina (late Horst) Endter. She will be missed by her nieces, nephews and her extended family. 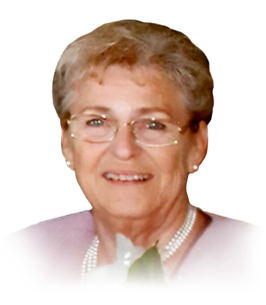 Friede was born in Neu Banovci, Yugoslavia on January 29, 1940 and immigrated to Windsor, Ontario with her family in 1955. She met the love of her life, Ed, and they were married in 1959. Friede was a dedicated wife and mother. Her flower gardens, hospitality and generosity were enjoyed by all who visited her at home, whether that was in Windsor, Texas, Parry Sound “Camp Oma-Opa” or wherever she happened to be. The family wishes to thank the staff of Amy’s Helping Hands, especially Monika, Kindah, Kendra and Sladjana for their care and compassion over the past year. If you so desire, donations to First Lutheran Church or The Summit Centre for Preschool Children with Autism would be appreciated by the family. Visiting Sunday, March 24, 2019 from 2-5pm. Visiting Monday, March 25, 2019 from 10:30am until time of funeral service at 11:30am at Families First 3260 Dougall Ave. South Windsor, 519-969-5841 with Pastor Bugbee from First Lutheran Church officiating.